K20 // The K20 maintains the continuity of the Norbert Wangen collection. 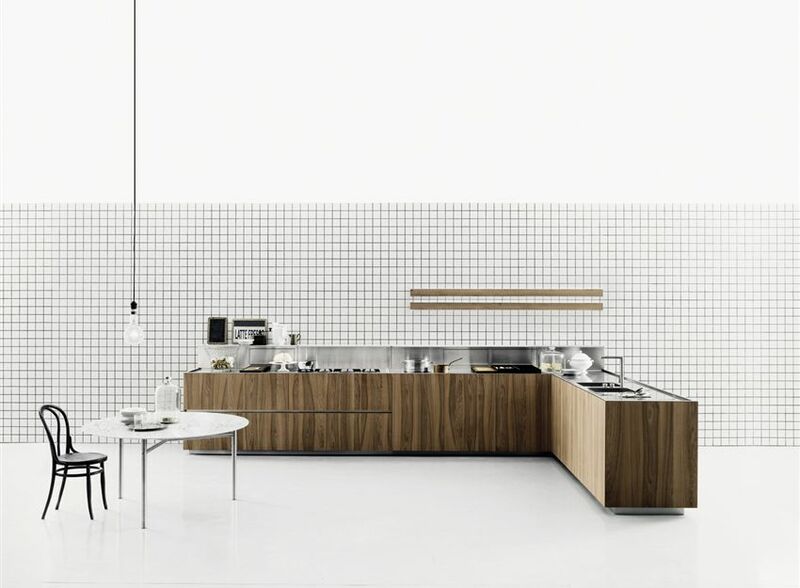 It retains the K11 kitchen’s modular units while introducing new materials for the worktops and doors. The result is a product that has a more rigorous aesthetic. The finish on the doors wraps around the side panels, creating a design that appears more compact. 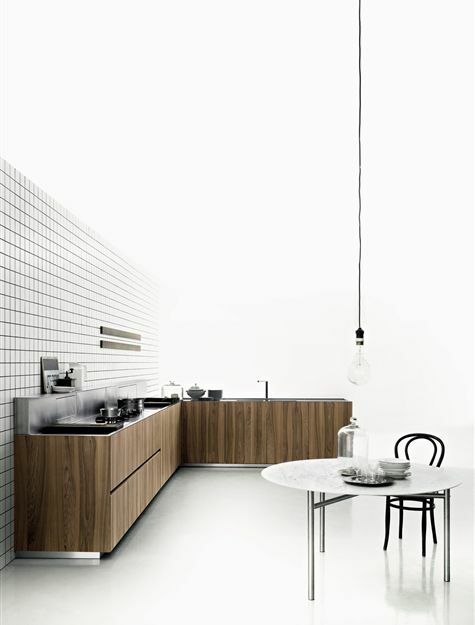 The back-splash is equipped with shelf and integrated light. A fully concealed electronic down-draft hood is positioned in the back. 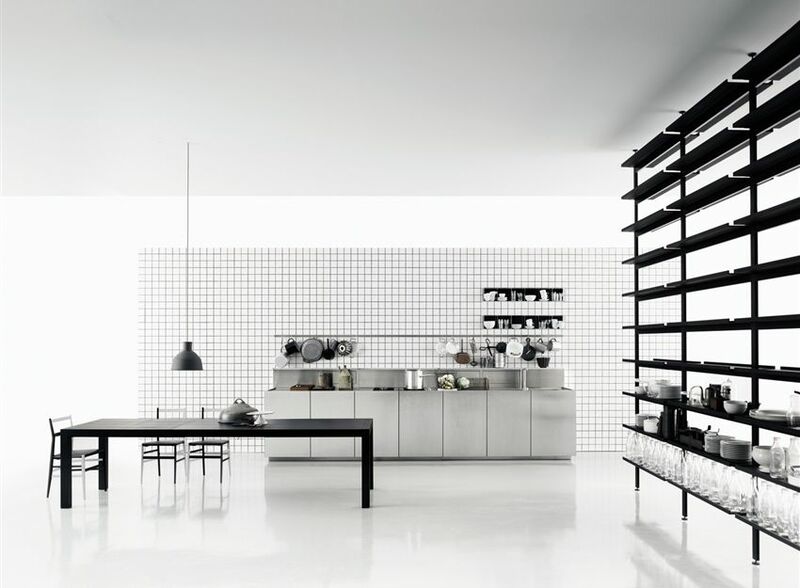 It is equipped with containers integrated in the back-splash thickness with doors that can be opened and sockets for small electrical appliances.